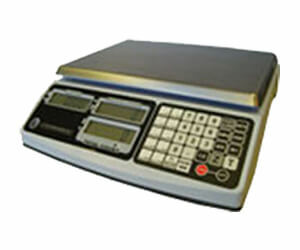 Counting Scales - Accurate Scale Industries Ltd.
SAVE TIME AND INCREASE YOUR ACCURACY AT THE SAME TIME WITH COUNTING SCALES FROM ACCURATE SCALES. LOW, MID- AND HIGH RESOLUTION. 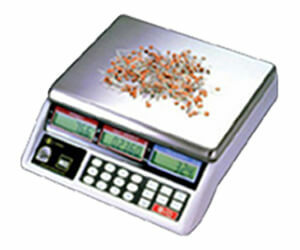 WE HAVE YOUR BEST OPTION FOR COUNTING SMALL PARTS, CURRENCY AND OTHER ITEMS QUICKLY. Super-fast and reliable for packaging counts and inventory. Fitted with three LCD displays, spill channel, auto-calibration, data accumulation and much more, the FD-121 is an ideal counting scale for your business. 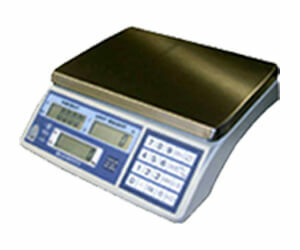 Extremely precise and fast, this counting scale is great for small parts counting and weighing. Models are available with capacities at 3kg, 6kg and 30kg, and they all feature accumulation memory and quantity checking with alarm. Three screens for simultaneous display of total weight, unit weight and quantity. 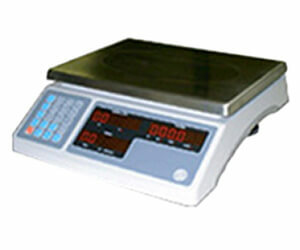 This scale is precise and easy to store and retrieve when required. Simple, effective and affordable, this counting scale is a great introductory model for businesses doing parts and inventory management.